Very interesting read! I myself have never watched Clint Eastwood in a film. I know he’s been in a lot of Westerns and I’m not very fond of Westerns. Just a personal preference. But after reading your post and being the avid movie watcher that I am, I kind of feel more obligated to actually watch one. 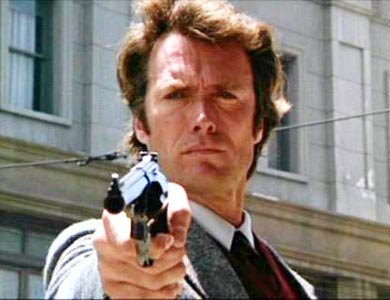 Maybe one of these days, like yourself, I’ll find myself viewing “Dirty Harry” or “Unforgiven” and it’ll change my perception of Eastwood films. I am in the cinema of liberation class too! I agree with you the Unforgiven was reaaaaaaaally good! such a nail-biter with all those gun scenes! and i cant believe what happened to Ned! I was so sad. But I actually really liked Clint Eastwood before seeing Unforgiven. I actually grew up watching The Good, The Bad, and The Ugly waaaaaay too many times with my Grandpa. It’s a total classic and even if you dont like westerns I would recommend it!